To honor the contributions ranch horses have made to the heritage of the American Quarter Horse, the American Quarter Horse Association and AQHA Corporate Partner Zoetis are proud to announce Silver Spur Operating Co., an AQHA Ranching Heritage Breeder, as the recipient of the 2017 Zoetis AQHA Best Remuda Award. Silver Spur encompasses historic ranches in four states, and a rich and diverse cattle and equine operation. Owned by Silver Spur Land and Cattle LLC and managed by Thad York, the Silver Spur operates in Wyoming, New Mexico, Nebraska and Colorado. The original Silver Spur ranch at Encampment, Wyoming, was homesteaded in 1879 by Albert H. Huston. After more than 130 years, the operation grew to include four Wyoming ranches, four Colorado ranches, the historic TO and Bell Ranches in New Mexico, and feedlot and farming operations in Nebraska. The Bell Ranch has an extensive history with AQHA. An AQHA Legacy Breeder of more than 50 years, it was managed in the 1930s by Albert K. Mitchell, one of AQHA’s founders and the Association’s only four-term president. Silver Spur’s cattle program is the ninth-largest commercial cattle operation in the United States, it runs 15,000 mother cows. The family oriented operation raises quality American Quarter Horses to provide for its cowboys day-to-day needs. The ranches have more than 200 horses, about half of which are mares. The mares are ridden and worked before they graduate to the broodmare band. The ranch has bred horses such as Versatility Ranch Horse world champion SS Hey One Eye and performers such as SS One Eyed N Style, Penny For Your Thots, SS Two Eyed Annie and SS One Eyed Dualer. The ranch stood the WR This Cats Smart stallion WR One Eyed Jack for several seasons until the horse’s untimely death. The operation’s newest herd sires are Metallic Masterpiece, a son of Metallic Cat with performance earnings exceeding $73,000, and the addition of Light My Dynamite, a son of CD Lights. The ranch is involved with many outreach projects, including the Colorado State University Legends of Ranching Sale, assisting with youth group fundraisers and helping with community improvement projects. Silver Spur also offers internships for college students interested in agriculture. 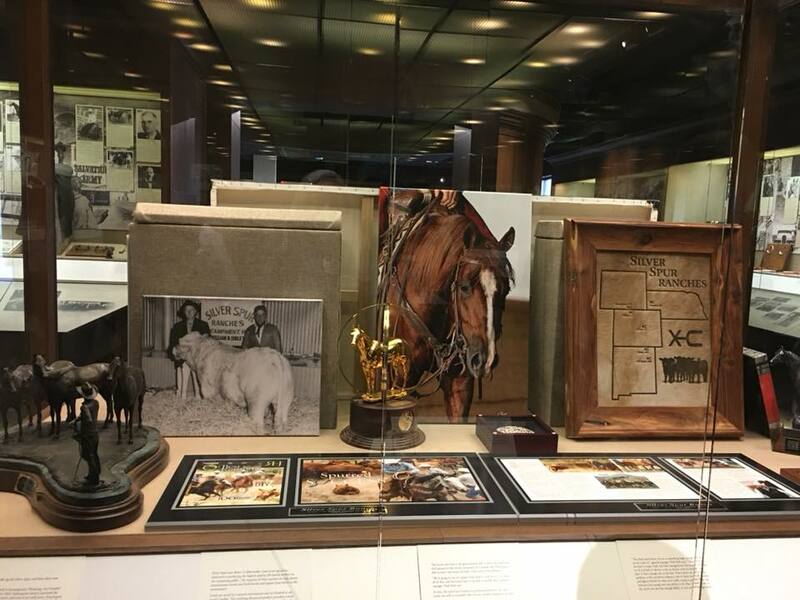 The Zoetis AQHA Best Remuda Award began in 1992 and has since recognized outstanding ranches for raising American Quarter Horses, an important tool of their trade. Any ranch that has five or more American Quarter Horse mares used to produce horses for ranch work and is an AQHA Ranching Heritage Breeder is eligible for this award. The award will be formally presented to Silver Spur Operating Co. during the 2017 Working Ranch Cowboy’s Association World Championship Ranch Rodeo, November 9-12 in Amarillo. Silver Spur Operating Co. will also be recognized during the 2018 National Cattlemen’s Beef Association Convention in Phoenix and at the 2018 AQHA Convention in Jacksonville, Florida. The ranch will be featured in the Fall Ranch Horse Journal and the November issue of America’s Horse. Subscribe to AQHA’s Ranch Horse Journal or read the digital edition for free at www.aqha.com/magazines. This entry was posted in Uncategorized on August 28, 2017 by Connie.